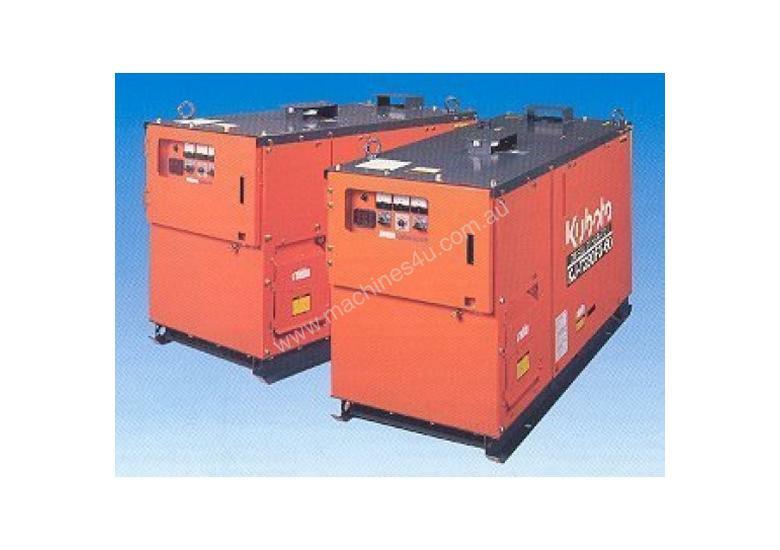 The Kubota KJ-S130VX, 12.5 kVA Diesel Generator provide a much quieter, efficient and long service life generator where you need safe and economical electrical power. Cleaner Power: The 03 series engines used in the KJ series incorporate the TVCS combustion system which improves air/fuel mixture, resulting in cleaner emissions. Dependable Power: The brushless, self exciting type alternator is designed to deliver high quality power. Quieter Power: Sound levels at full load and no load are minimised due to the World renowned Kubota Technology. Increased Safety: The engine is protected against any abnormalities within the oil or cooling systems and all rotating parts are enclosed in a sturdy enclosure. Simple Maintenance: Oil, water and filters are located on one side for ease of maintenance.